Profile 36- Inch Electric Cooktop in Stainless Steel This ceramic glass GE cooktop offers a smooth and seamless cooktop surface that makes cleaning quick and easy, and two ribbon, 7-inch heating elements. With ribbon heating elements, the heat comes from brightly glowing elements positioned beneath the smooth surface. Even heat is directed straight up to the pan for high speed heat-up. 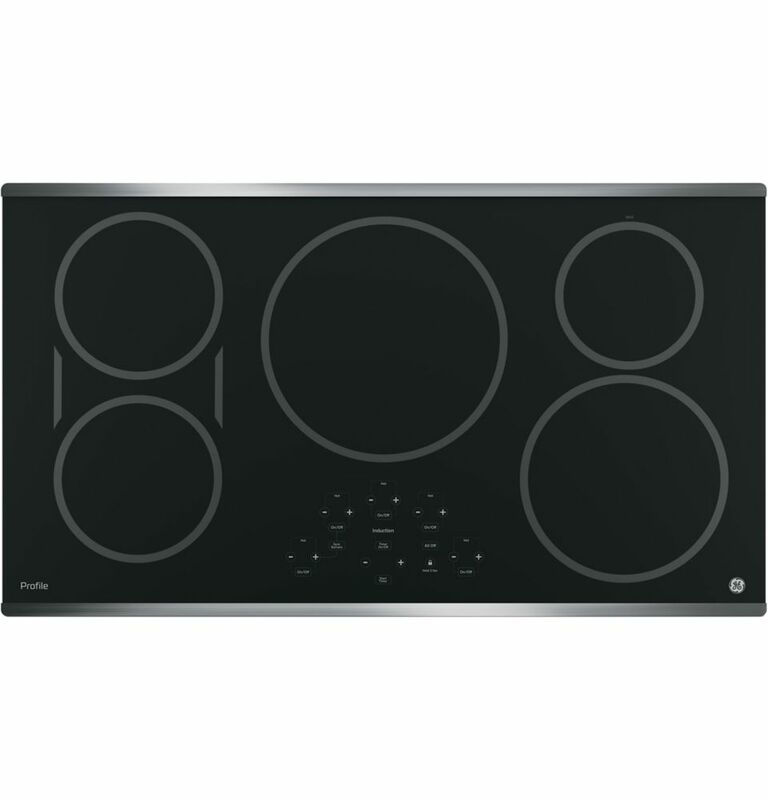 Profile 36- Inch Electric Cooktop in Stainless Steel is rated 4.5 out of 5 by 312.